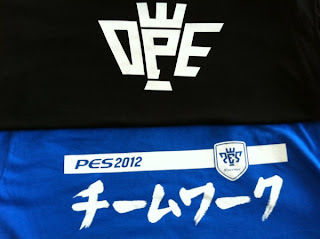 Win a Limited Edition PES 2012 tee! At the end of each month, one lucky OPE supporter will be sent a free money-can't-buy limited edition PES 2012 t-shirt. To become an OPE supporter, all you have to do is order something from our store. The tees are available in various sizes, and we'll be giving them all away over the next few months. But be warned, once they're gone, they're gone.